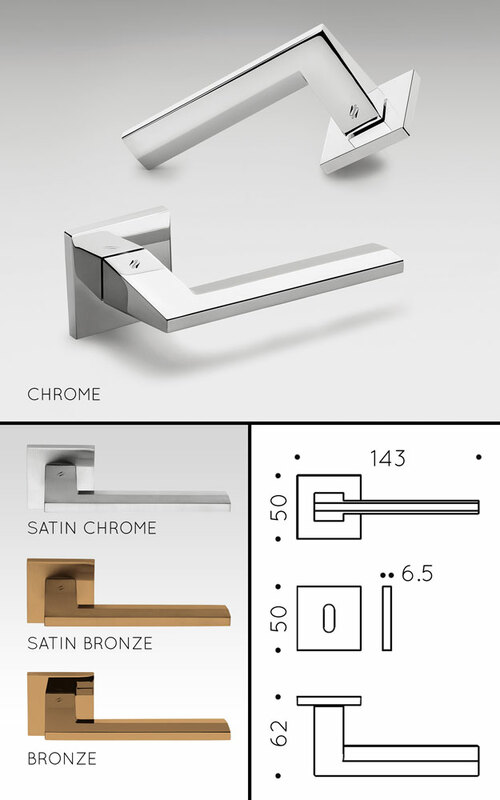 This highly designer interior door handles are designed by top industrial designer Ernesto Settimelli and manufactured in solid brass with a choice of chrome and bronze finishes. Beautifully engineered these luxury door handles are made in Italy and deemed to be the best quality handles available. All designer handles are supplied with matching keyhole escutcheons. Handles and thumb turns are special order products from Italy, please allow 3-4 weeks for delivery.  Handles for door thickness 30 - 60mm.